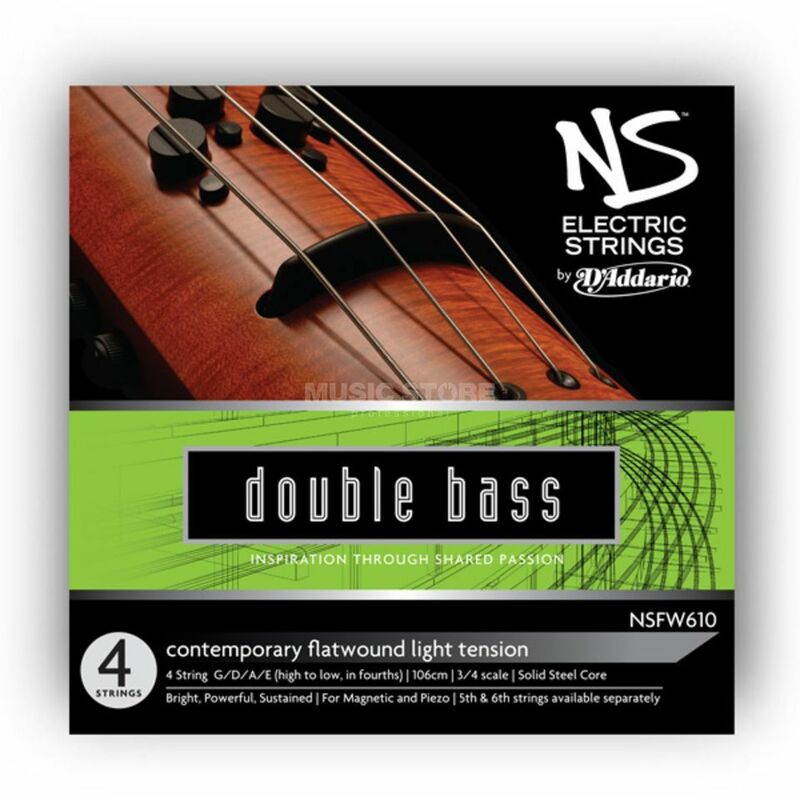 The Contemporary Double Bass Set produces a brighter sound and is lower tension than the Traditional Double Bass Set. Designed for electric upright basses with standard playing lengths, but shorter overall lengths (no tailpiece). The set consists of regular tuning strings (G, D, A, E). Additional low B and high C are available as single strings.